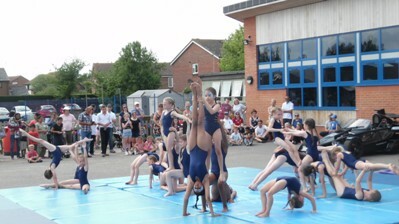 Music to Movement Gymnastic Display celebrating 30 years of The Bishops’ in June 2017. The Bishops’ is one of a small and unique number of joint Anglican and Catholic schools in the country, and we are the only such primary school in Essex. Copyright The Bishops School 2016.